Tibetans who have made the treacherous escape by foot over the Himalayas to India seeking asylum face huge resettlement issues. For twenty years the Louisiana Himalaya Association has helped them to find housing, healthcare, employment, education and more. And Tibetans have much to offer in return. For more than 2,000 years, Tibetan culture has been developing ways of coming to know the human mind and spirit—a tradition that can help us confront a modern world facing enormous challenges. More than just one student is affected when a youth becomes educated and empowered, as employment and healthy modeling can help entire families and communities. Many Tibetan women seek a degree in nursing, since jobs are available and nursing degrees are easily transferred abroad or to Tibet. Many are qualified and accepted into programs, but lack funding for tuition, room, and board. The cost of a three-year nursing degree in India is only $6,000, including tuition, books, room, and board. That's just $2,000 a year per student! Our long-term goal is to continue to support and grow this scholarship program, and to have a lasting impact and provide opportunities for years to come. This project was started in 2017 by a group of Tulane University social work students, in honor of Neysa Fanwick, a Tulane School of Social Work alumna who passed away on July 29, 2017. Neysa had come to India in 2011 and was greatly moved by her Tibetan friends and their community. A highly successful campaign quickly funded the first three scholarships. Professor John Clark of Loyola University, with great admiration for the LHA and its work, accepted the invitation to coordinate the ongoing scholarship campaign. Please contact him if you can in any way help with this important project. The Louisiana Himalaya Association is a 501c3 nonprofit social work organization that is dedicated to improving the lives of Tibetan refugees, and to making ancient Tibetan wisdom traditions available to the world. LHA is completely volunteer-staffed and volunteers cover their own expenses. From the New Orleans office space to accounting and legal services, all resources and work hours are donated by our Board of Directors and other members of the LHA team, rendering LHA 100% free of overhead expenses. 100% of donations to LHA go directly to the actual social service projects for which they are donated. LHA has worked with the Tibetan community since 1997. LHA works with a variety of schools and organizations, including Tulane and Loyola Universities, Ochsner Medical Center, and the Louisiana Mississippi Hospice and Palliative Care Organization (LMHPCO), in addition to other local, national and international groups, to host Tibetan scholars and organize cultural events. 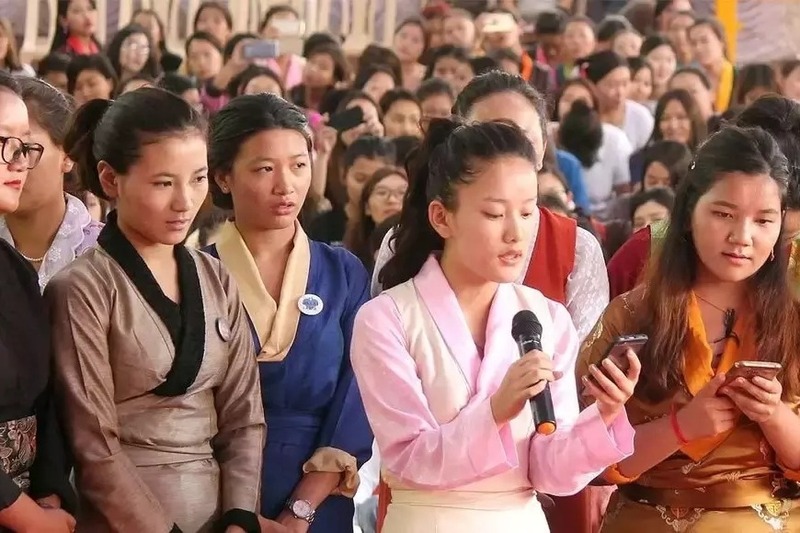 These schools and other organizations send groups to India each year who volunteer for social service activities and learn directly from the Tibetan people. Please see the LHA website at http://www.lhainfo.org/india.html for further information on its work and that of the Lha Charitable Trust in Dharamsala, India.